Situated near the beach, this historic hotel is 0.4 mi (0.7 km) from Alabaster Coast and 1.7 mi (2.7 km) from Tapovan Normandie. Base de loisirs du Lac de Caniel and Chocolats Hautot - Musee decouverte are also within 9 mi (15 km). Situated in Sassetot-le-Mauconduit, this hotel is 0.4 mi (0.7 km) from Alabaster Coast and 1.5 mi (2.4 km) from Tapovan Normandie. Base de loisirs du Lac de Caniel and Chocolats Hautot - Musee decouverte are also within 9 mi (15 km). 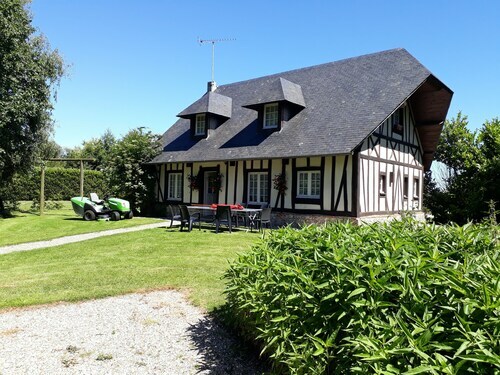 Situated on a lake, this bed & breakfast is 1.3 mi (2.1 km) from Tapovan Normandie and 1.6 mi (2.6 km) from Alabaster Coast. Base de loisirs du Lac de Caniel and Chocolats Hautot - Musee decouverte are also within 9 mi (15 km). 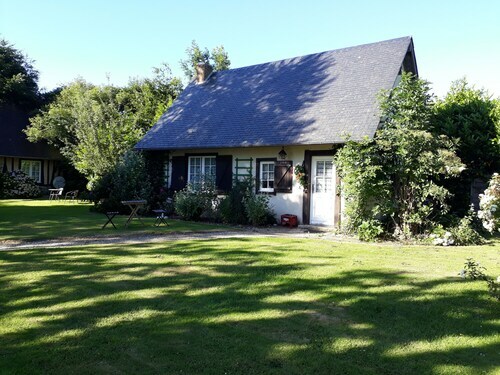 Situated on a lake, this cottage is 1.3 mi (2.1 km) from Tapovan Normandie and 1.6 mi (2.6 km) from Alabaster Coast. Base de loisirs du Lac de Caniel and Chocolats Hautot - Musee decouverte are also within 9 mi (15 km). How Much is a Hotel Room in Sassetot-le-Mauconduit? Hotels in Sassetot-le-Mauconduit start at $97 per night. Prices and availability subject to change. Additional terms may apply. Sassetot-le-Mauconduit has just one accommodation option. So if you want to stay near the downtown area in Sassetot-le-Mauconduit, it is best to book early. 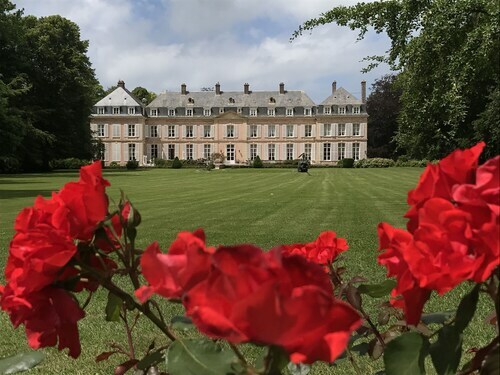 While Sassetot-le-Mauconduit can't lay claim to having an impressive list of Travelocity-listed hotels and apartments in the midst of its urban core, Château de Sissi is central enough to work for the modern traveler. The Le Grand Pavois can be found about 8 miles (12 kilometers) from the downtown precinct of Sassetot-le-Mauconduit. If you would prefer another option, the Château de Sissi is positioned 0.4 miles (0.6 kilometers) away. Some other places to stay in this area include the Hotel du Casino along with the Inter-hotel D Angleterre. Once you have found all the secrets of Sassetot-le-Mauconduit, how about you explore a bit more of the region? The Normandy vicinity boasts a number of scenic and cultural delights waiting to be explored. Normandy has rural landscapes, and commonly visited destinations include ruins, castles and traditional villages. Intrepid visitors may also get involved in rock climbing in this part of France. Looking for activities? You could spend the day visiting Chateau d'Eu and Jardin Jungle Karlostachys, which you'll find in Eu, 45 miles (70 kilometers) northeast of Sassetot-le-Mauconduit. The Domaine de Joinville & Spa and Inter Hotel La Cour Carree are just a handful of the lodging choices in Eu. 16 miles (26 kilometers) to the southwest of Sassetot-le-Mauconduit, you'll also find Etretat, which is home to the Domaine Saint Clair Le Donjon Etretat and Jardin Gorbeau Etretat Guesthouse & Spa. When you stay in Etretat, make your way to the Etretat Beach and Falaise d'Aval. Before you say your farewells to Seine-Maritime, be sure you are able to join crowds watching some local sport. Get to Deauville La Touques Racecourse, which you will find to the southwest of Sassetot-le-Mauconduit. 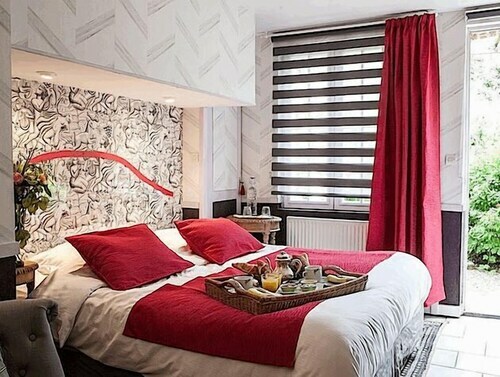 Sports fans that want to find Travelocity-listed accommodation in the area around the stadium can make a choice from the Hôtel Barrière Le Royal Deauville or the Hôtel Barrière Le Normandy Deauville. Located 35 miles (56 kilometers) from Sassetot-le-Mauconduit's city center is Saint-Gatien Airport. Find accommodation nearby at Auberge de la Source or Manoir de la Poterie & Spa.